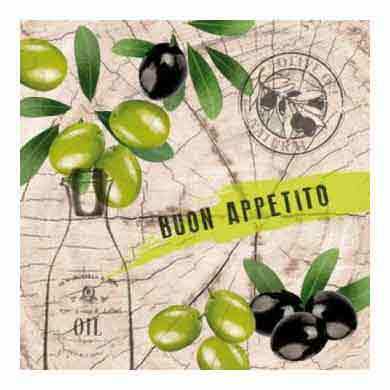 Our Italian gourmet food Gift basket is an elegant surprise with absolutely delightful elements to tickle the tastebuds. 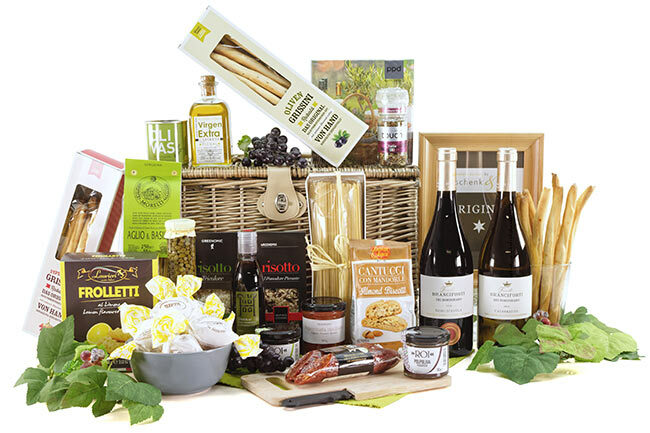 The Italian gourmet Gift basket is delivered within a stable and premium basket that makes even the unpacking a shame! 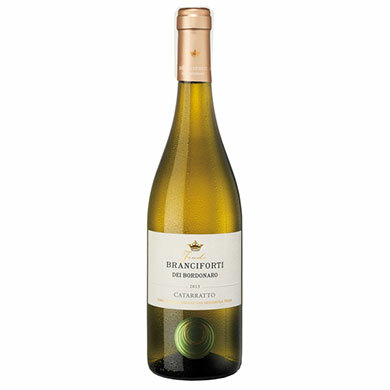 With the sweet, slightly earthy taste of ripe figs, fruity and very harmonious. Goats cheese and ripe pecorino or to cooked meat like bollito misto and game. In the dessert the combination with pears has proven itself. 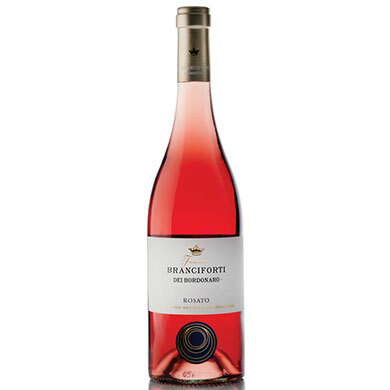 This is what the Sicilian people like, a light, refreshing acidity, fruity aromas and a crisp bite in the paprika. That is a delicious summer dish and a side dish for pan fries. 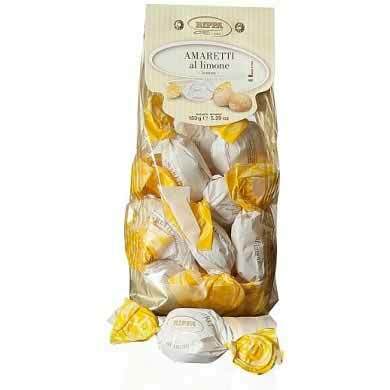 Soft Almond Amaretti biscuits from Italy with the finest fresh ingredients prepared according to original recipes with traditional methods and refined with lemon flavor. 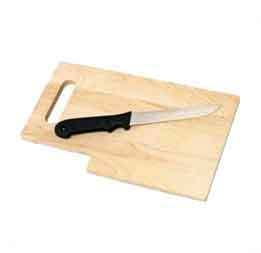 To obtain the soft structure they have been packed in a single premium paper. A masterpiece of the art of baking and a tribute to the tradition. Connoisseurs appreciate the authentic taste and meticulous workmanship. With espresso and a glass of water, tea or a glass of cherry liquer. Of course, these soft almond snacks can also be enjoyed in between. 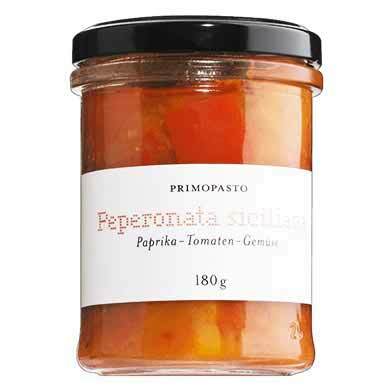 Tastes really great on pasta, pizza and paninis. Fresh rocket pure, finely crushed, with extra virgin olive oil and some salt. 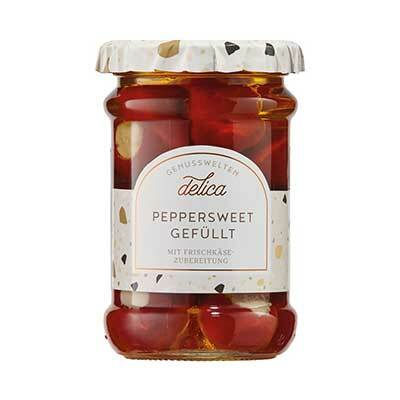 To appetizers such as roasted peppers, carpaccio, salads, cheese, omelets or even to fondue. 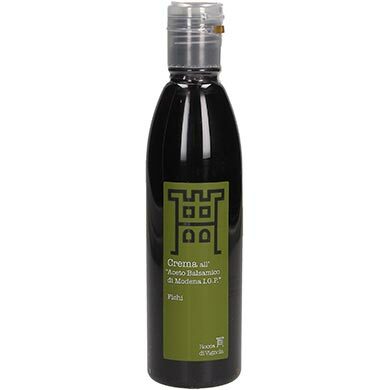 From the small mature Taggiasca olives of Liguria, with some extra virgin olive oil and herbs. 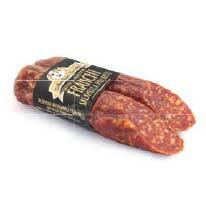 It has a spicy accent in meat dishes, in Mediterranean fillings and tomato sauces. 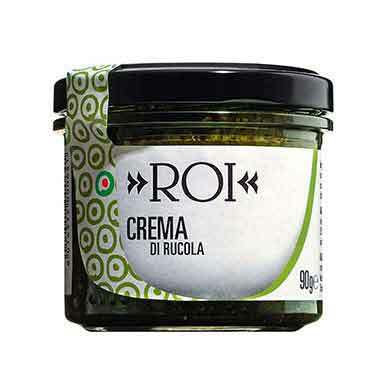 It is also easy to spread on an aperitif on crostini and garnish with basil and tomato cubes. Morellis family insist on only using the best durum wheat flour and the pasta is still produced using traditional techniques. 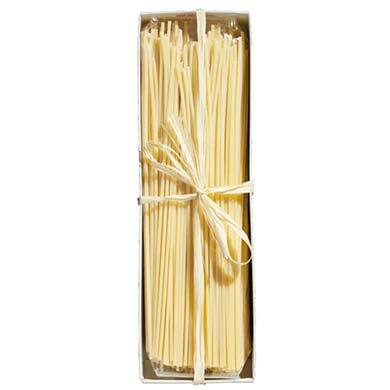 However what makes this pasta unique is the presence of wheat germ, adding it before the final pasta making process. 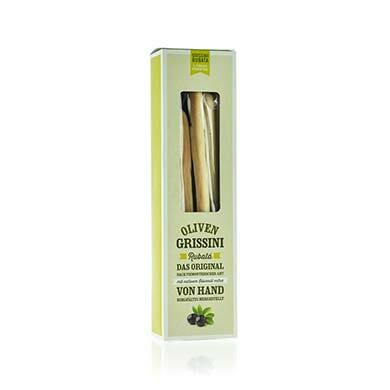 The final result is a truly wholesome pasta, with a rich flavour and full consistency. 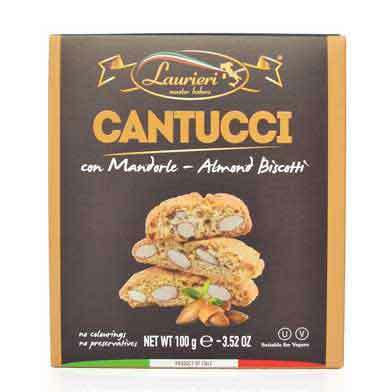 Almond cantucci made of whole almonds, from Matera, Italy. 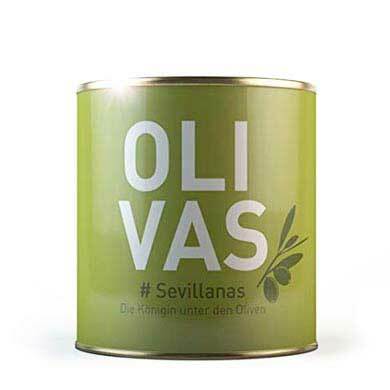 They taste great in Capuccino, Vinsanto or in Moscato. Biscotti also known as cantuccini (English coffee bread), are twice-baked cookies (or biscuits) originating in the Italian city of Prato. The biscuits are oblong-shaped almond biscuits, made dry and crunchy through cutting the loaf of dough while still hot and fresh from baking in the oven. 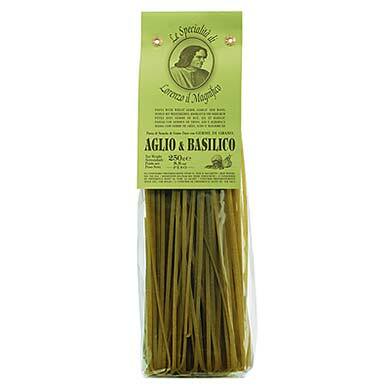 Only the best durum wheat semolina from Puglia and the famous Abruzzo mountain spring water are the ingredients for this aromatic, chewy pasta. The dough is slowly pressed through the bronze slices, which gives the pasta a rough surface and takes up sauces better. It is slowly dried and carefully placed in the box by hand. 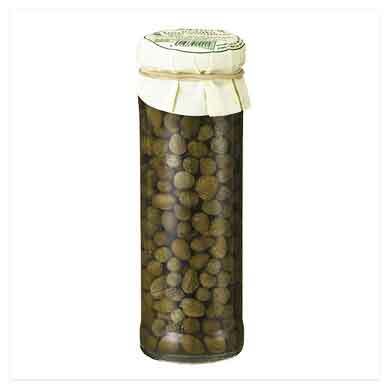 Non-pareilles capers are the smallest and most desirable variety of capers. 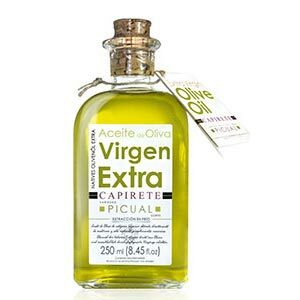 To be considered a non-pareil, the caper cannot measure over seven millimeters. Non-pareilles are picked off the capparis spinosa bush early to keep their small size. The French coined the name non-pareil (meaning -without equal-) because they consider these small capers to be the finest variety by far. The manner in which we pack this gift basket makes it possible for us to ship it to all EU countries including Switzerland, intact and ready to be presented as a gift. 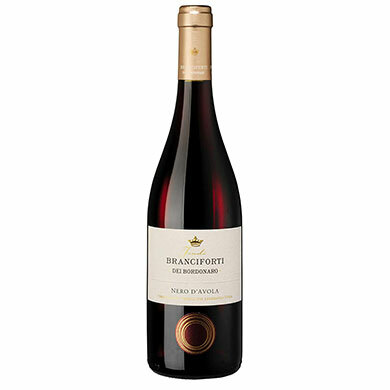 To begin with we include three beautiful wines (which we have naturally tried ourselves) as well as various authentic pastas from the motherland of Pasta, Italy. 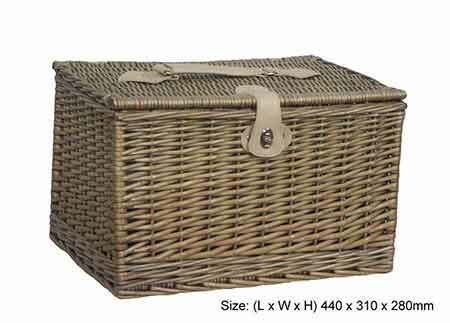 The basket itself is robust and hearty just like the goodies found inside, it has proven to be quite handy in the car. 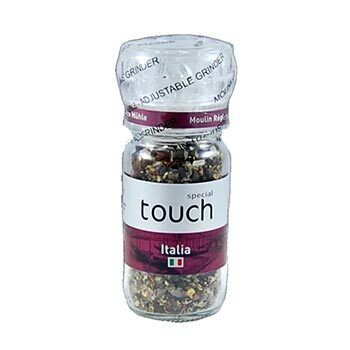 It goes without saying that the receiver of this gift will not find the authentic Italian baked goods lacking. 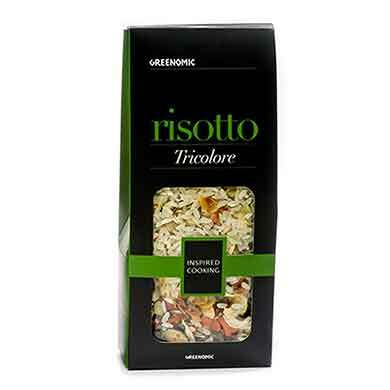 With that we have added something sweet with a traditional Cantuccini, this is a must! Various spice blends, small capers and Risottos round this gift basket off to perfection. Regardless of the weather, when opening this gift basket it may be said the heavens have opened up with the sun shining through and one may experience a true aha moment. If you are unsure of what to give, you cannot go wrong with a basket that embraces all that is fine with these Italian Delicacies.